Home Featured	Shots! Shots! Shots! There are a few major birthdays in our young lives that mark important doorways into societal acceptance. At 15 or 16, depending on the state, you are deemed capable enough to operate a motor vehicle. At 18, you’ve passed the bar for voting eligibility. And then there’s 21 — a year punctuated by the gleaming promise that you can now legally consume alcohol. Pay no mind to the fact that we learn how to drive before many people learn how to safely handle alcohol, and that the mix of these two “birthday privileges,” have proven to be deadly. For many people in the United States, a 21st birthday is more than a simple celebration — it is an occasion, an extravaganza, a “rite of aging passage.” The addition of legal alcohol to your lifestyle, pulls painfully on your wallet and your liver, but also opens the door to a slew of social opportunities that were previously conducted behind closed doors. These days, 21st birthdays aren’t complete without ridiculously shiny golden number balloons, and a typically exorbitant amount of alcohol consumption. But what is the dangerous reality behind 21st birthdays being considered a rite of aging passage? Not only is it a huge responsibility to suddenly have full access to a legal alcohol filled world, but the hype around 21st birthdays does seem to be inherently tied to an extreme social pressure around drinking. One of the elements that increases these outrageous expectations is the consistent double edged sword of social media. Most of the time, what appears on social media is an edited version of the truth a rosy picture of the good times you’re supposed to be having as opposed to the less edited reality. The interaction of 21st birthdays with social media results in a change of scenery from the typical “birthday dinner” or “dorm room party” to a fully-public drinking affair — cue the booming club music. Some people definitely have a bit of a narcissism complex when it comes to their birthdays, and why shouldn’t you? 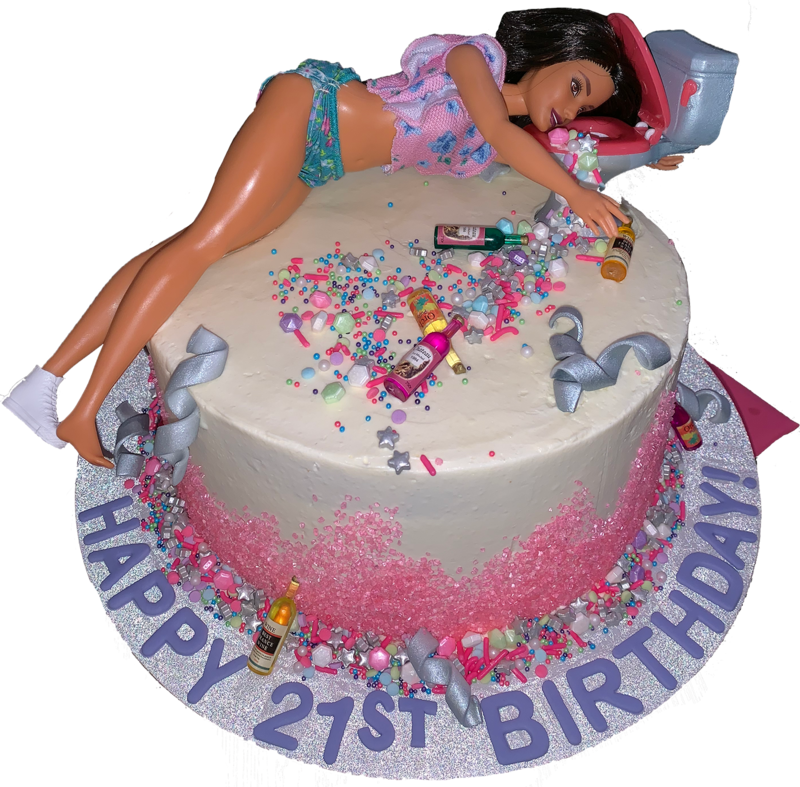 It is your day after all, but the introduction of staged social media posts may have contributed negatively to the pressures around turning 21. According to Alaina Johns, Editor-in-chief at Broad Street Review, social media doesn’t make us narcissistic, it just lets us be more public about it. “I think probably that social media gave us the outlet that our narcissism needed all along — and when we have that constant audience of hundreds or thousands, whatever is showing up, is probably what was there naturally, it’s just getting amplified by this feedback loop of that constant connectivity.” So not only does social media give us a place to participate in the culture of 21st celebrations, but it also normalizes everyone else seeing this incredibly public occasion for lots of drinking — which, in most cases, unless in a very safe environment, isn’t good for you in general. So how does one navigate the high-pressure drinking expectations around turning 21, if that’s not actually something that you want to do? Renee Tite, a senior sociology major at Brandeis University, has done multiple studies in relation to drinking in college and alcohol treatment. One study focused specifically on collegiate socialization while sober, examining how being sober in college effects ones interactions while out amongst the culture of drinking. Through the course of her research she found that many students who remain sober throughout college, or drink selectively, feel as if their decision to abstain from alcohol suddenly becomes a great responsibility. It is up to them to stand by their choice, staying sober often pigeon-holing them into the role of peer management or “drunken-friend caretaker.” And because college parties typically don’t stay in one location, you’ll move houses or head to the bars, while those individuals who try to stay out of the current of social drinking pressure, find themselves feeling isolated from continuing past the first leg of the party. Tite, who turned 21 six months ago, decided to be sober long before she reached college. “I dreaded my 21st birthday because I didn’t want the social pressure that is associated with 21. I didn’t want to feel like I had run out of excuses and I knew it would change the entirety of my social interactions… it changed the structure of drinking.” Again, this goes back to how much responsibility actually does come with turning 21, a responsibility typically reported in the media only in relation to binge-drinking, and not in relation to the decision to abstain entirely. Associate Professor William Sonnenstuhl, who works in the Department of Behavioral Organization at Cornell University, focuses his research specifically on the misperception of college drinking. He explained that the term “binge-drinking,” has been twisted and blown up by the media. According to Sonnenstuhl, the hysteria surrounding college binge-drinking has more of a basis in yellow journalism than in verifiable data. Sonnenstuhl explained that the term was originally “heavy episodic drinking,” coined during a study done in Berkeley in 1969. Says Sonnenstuhl, “This variable was never intended to convey the idea that everyone who drinks at that level is a serious problem, its a variable that’s used to indicate that there might be some risk involved.” When the media exchanged “heavy episodic drinking” for its sexier synonym, “binge-drinking,” it started to convert a misleading picture of out of control excessive alcohol abuse. In his own research with Cornell students, Sonnenstuhl has found that “the data for the most part actually indicate that most students are either abstinent or they drink responsibly. Most college students, when they do consume it, consume so they get a buzz but are not doing themselves harm.” In fact, it would seem that our usage of alcohol has not changed all that much in the past four decades or so. Sonnenstuhl mentioned a study done by the University of Michigan each year that details how “heavy episodic drinking” has not in fact skyrocketed in the past 44-45 years. So, if we cast aside the notion that every college student is a “binge-drinking alcoholic,” why is there still so much pressure around turning 21? A lot of it has to do with the minimum age drinking laws. The United States is one of the only countries that has legal restrictions about alcohol usage under the age of 21. The minimum age requirement was only put into effect in 1984 by President Ronald Reagan, in response to the drunk driving epidemic. While it did decrease the number of accidents, it also changed the culture of drinking for young people. A massive cultural shift like that meant that underage drinking suddenly took on an underground meaning. “The 21 drinking age has created a toxic environment for colleges because students come to college you know, hearing all the stories that are told about drinking and they believe those stories, and specifically freshman think they have to consume a lot of alcohol in order to fit in,” said Sonnenstuhl. For students like Tite, who have chosen to abstain from drinking, post-21st birthday, become thrust into an often unforgiving culture where it’s more acceptable to carry a red solo cup of water rather than go to a party empty-handed. The sudden exposure into the drinking limelight can not only be overwhelming, but hard to get around if you don’t want to participate but simultaneously still wish to be included. “Without the secrecy it makes it a lot less of this deviant culture, so without the deviance aspect to it, it seems a lot less normal to not be drinking,” said Tite. It is no small thing that in other countries and cultures, alcohol is not a deviant substance. Can it make you do stupid things? Yes. But there’s something to be said for allowing alcohol to be a learnable substance — meaning you understand your own tolerance and limit as well as what you like and what you don’t. The alternative is what we see in collegiate drinking culture today — behind closed doors, typically socially pressured, and then suddenly incredibly public — a world of alcoholic beverages at your fingertips the moment the clock strikes midnight on your twenty-first birthday. The fact that sobriety may feel like a responsibility and that it’s more acceptable to carry a cup of water rather than just say “no” highlights the culture of cover-up that has resulted directly from the discrepancies in legislation surrounding a minimum drinking age. Know yourself, take care of yourself, and be brave enough to stand up for yourself if you’re unhappy participating in something when all you really want is to be included.